Bilbao is a contemporary sofa in white leather with contrast bold brown edges, a very modern sofa characterised by an attractive look and rich of interesting details, such as its original steel feet. Its back, much higher than the average of other contemporary sofas, makes it particularly convenient and comfortable. Bilbao is a contemporary sofa featuring a decided and smoothly style, upholstered in light grey and with an exposed frame on its brown body that recreates a very stylish contrast. The shape of this leather sofa and the beauty of all its details, such as its steel feet featuring an original shape, make it perfect for those who want to decorate a living room with a rich personal touch. 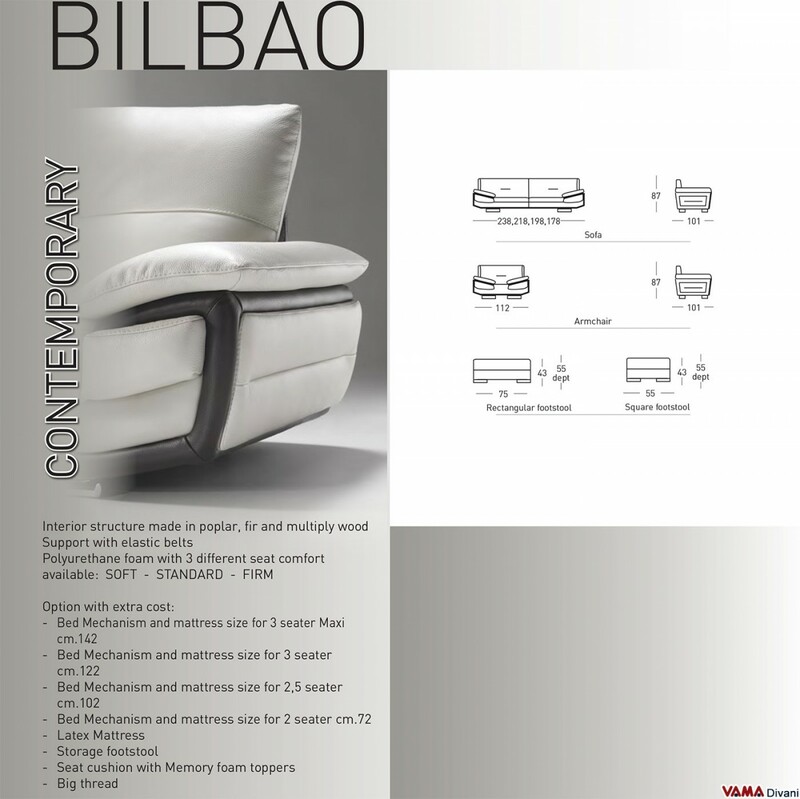 An important feature of the Bilbao sofa is definitely represented by its seat back, much higher and enveloping than ordinary contemporary sofas, a detail which makes it even more comfortable. This sofa can be matched with great ease, which represents another key feature of this extraordinary piece of furniture. This sofa, as well as many other creations by VAMA Divani, however, can be customised.